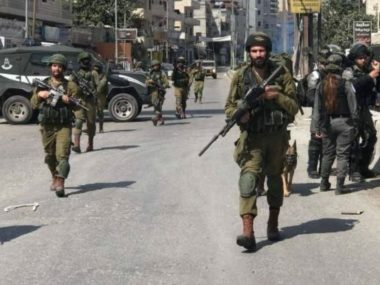 Israeli soldiers invaded, Sunday, the village of Beit Ta’mir, southeast of Bethlehem in the occupied West Bank, and handed a family an order for the demolition of their home. Hasan Breijiyya, the head of the National Committee against the Annexation Wall and Colonies in Bethlehem, said dozens of soldiers invaded the village, before breaking into the home of Nayef Hasan Zawahra, and handed him the demolition order. The home is a 100 square/meters one-story building, providing shelter for ten family members, and first received a demolition order in June of 2018. He added that the army is alleging that the property, in the Palestinian village, was built without a permit from the Israeli “Civil Administration Office,” the administrative and executive branch of the illegal military occupation of Palestine. 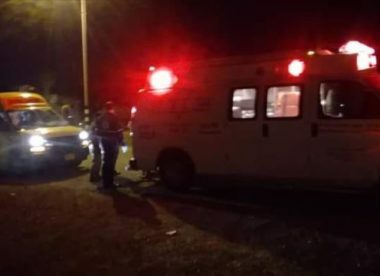 The official stated that the home is located near the Tahadi 5 School, which is also subject to constant invasions and violations, under the same Israeli allegations.